When to visit the city of Cusco? This will depend on the type of weather you like the most. The rainy season in Cusco goes from November to April, while from May to October is the dry season ; But regardless of the time of year you decide to come, you should always be prepared for the weather, as it can be isolated rains at any time of the year. 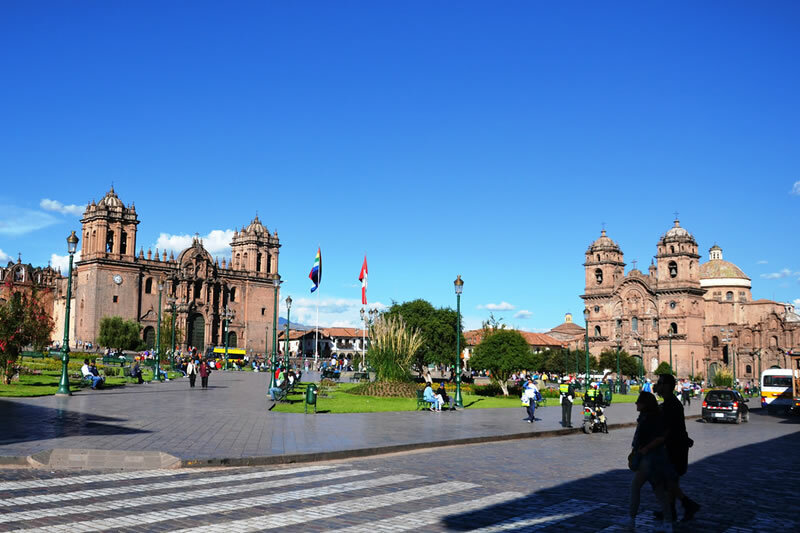 Cusco can be visited all year round, but the months from June to October and the weeks leading up to Christmas and New Year are usually the busiest times for travelers from all over the world. Since Cusco is a tourist city, has many festivals and celebrations, you must plan your trip very well either to include them or to avoid them. What is the best month to travel to Cusco? As mentioned before Cusco can be visited at any time of the year. However, in the month of May there is a very low chance of rain, the mountains are more lush and the scenery greener. Also, the influx of visitors is usually a little lower during this month. The dry season in the imperial city of Cusco runs from May to October. The weather during this season is dry most of the time, especially in the months of June, July and August. The days are warm with an average temperature in the day that it oscillates between the 16 ° and the 18 ° C. The nights are colder during the dry season, and it is not uncommon that in the months of June and July, the temperatures descend by Below 0 ° C. The dry season is considered the best time to travel, but it is also the season with the greatest influx of visitors. The rainy season runs from November to April. At this time the imperial city of Cusco presents the highest amount of rainfall throughout the year. Statistical data reveal that the months of January and February are the ones that present the strongest rains of the season. In the rainy season it is summer in the southern hemisphere, so the average temperatures in the day are slightly higher than in the dry season and average 18 ° C. But night temperatures are significantly higher, with a Average temperature of 8 ° C. Although less people choose the rainy season to visit Cusco. The abundance of rainfall at this time makes the region much more lush and green, compared to the dry season, where the vegetation often looks brown / gray. During the rainy season there is a possibility of rainfall falling all day long, but most of the time the rain comes in very intermittent bursts, which can last from 20 minutes to a few hours. Usually rain falls in the afternoon, but there may be precipitation at any time of the day, so do not rely. What are the disadvantages of the rainy season? Undoubtedly the biggest disadvantage of making your trip in the rainy season is that there is a greater probability of landslides in the southern region of Peru; And in Cusco, especially in the Machu Picchu region, landslides can cause delays in the train transfer from Ollantaytambo to Aguas Calientes (Machu Picchu Pueblo). These can cause minor inconveniences or large delays that last up to 48 hours. We know from experience that landslides occur more frequently in February, where the earth has suffered more erosion, due to the constant rainfall of previous months. We know that coming to Cusco in the rainy season can be a cause for concern, since it is obvious that you want to visit Machu Picchu; For this reason we recommend you to plan your trip very well, try to leave free time around your trip to Machu Picchu, it is essential to avoid any disappointment. The Cusco festivities calendar is too big to include here. But you should take into account that during the weeks adjacent to Inti Raymi (June 24), hotel prices in Cusco can double. Also, in the months of Christmas and New Year, hotels also tend to increase their tariffs.